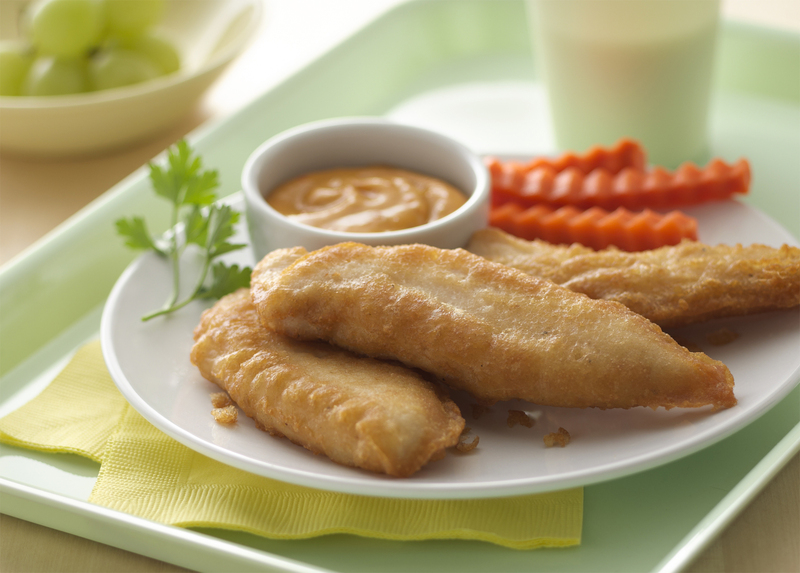 These crunchy, kid-pleasing chicken fingers make a nice appetizer or meal when served with a bowl of honey-mustard sauce for dipping. Combine flour, baking soda, salt, and pepper in a medium bowl. Stir in water and vinegar. Pour oil into a medium skillet to depth of about 3/4 inch. Heat over medium heat until 350°F or until a drop of water dropped into the pan sizzles. Transfer chicken to a paper towel-lined plate to drain. Serve these while hot with a bowl of honey-mustard sauce for dipping.